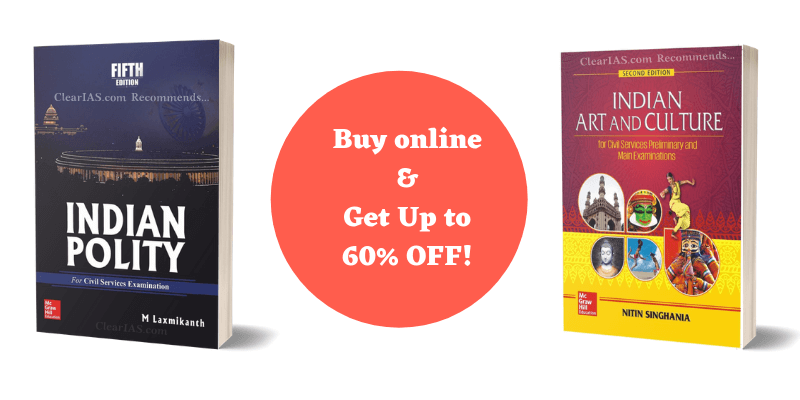 NCERT Text Books from Class 6 – 12 – NCERTs should be your starting point. Now you can buy NCERT books for UPSC as a bundle also. General Studies Paper 1 Manual – If you are a beginner, an all-in-one book can help you get a quick idea about the UPSC requirements. Manuals by Pearson, McGraw Hill, and Arihant are equally good. Buy any one book. General Studies Paper 2 Manual – Selective practice of MCQs from any 1 of the following books – Pearson, McGraw Hill, or Arihant should be sufficient. Kiran Prakashan’s book for GS Paper 1 and GS Paper 2 (CSAT) are excellent compilations for UPSC Prelims. Enroll in ClearIAS UPSC previous-year Questions Re-Take exams for Prelims GS Paper 1 and GS Paper 2. The solutions are based on the official UPSC keys available from 2011. There are no replacements for standard reference textbooks for UPSC preparation. Click to buy online the textbooks for each subject mentioned in the UPSC syllabus (Prelims and Mains). For mains, most books for Prelims are useful. In addition to those, the following books should also help. Yes, you can get paper-wise books from the following links. Books for Optional subjects in UPSC Mains (Open the link and scroll down). Latest UPSC CSE Books: Click To Buy New Releases For UPSC Preparation. Subject Specific Book-List for IAS exam (For extra reference of each subject). For many of the books listed above, corresponding books in the Hindi language are available in the market. Hindi medium students may check the link UPSC Books in the Hindi Language to buy online at discounted prices. There is no single book which covers all topics of IAS exam Prelims and Mains. However, if you are short on resources and time, you may start from the Manuals (All-in-One Guides) for Prelims and Mains. Take mock exams, and refer additional text-books as and when time is available. Considering the competition and vast syllabus, UPSC exam preparation cannot be done without collecting some essential books. Photostats or PDFs supplied by coaching coaching institutes may not give you the right information and broad perspective. If you are an IAS/IPS/IFS aspirant, you should invest in good text books. Quality books act as add-ons to your online preparation and help a lot in self-study. If you follow ClearIAS Test-based approach to clear UPSC Prelims, most of the books mentioned above will get automatically covered as per the mentioned timetable. If you are running short of time to finish the syllabus before the exam, you may better focus on concise books instead of bulky ones. You can use Modern India by Spectrum (Rajiv Ahir IPS) then, which is a small book which covers almost all major points given in Modern India by Bipan Chandra. Similarly, you may just focus on Indian art and culture by Nithin Singhania IAS, for culture topics. ClearIAS.com publishes reviews on new IAS books in the market under our Book Review section. Publishers/authors can send us samples for review. Readers too can post the reviews about the UPSC books they bought in the comment section. That will be helpful for other aspirants for book selection. Additional Update: If you are a beginner, and wish to get an all-in-one book to start your preparation, don’t miss this post – Is there a single book which covers all topics for IAS exam (Prelims and Mains)? Great exerts! really help full! I have recently cleared my BA in English and I am continuing my MA in English l opt to become an Admnistrative offier(IAS)and I want start it along with my studies.. Sir can you please refer me some books and help so that I may start my preparations.. my email ld is [email protected] Thank you. you should complete your master then think about it. both these books have overlapping contents…..
history of modern india is for beginners in history. so read it only if you are a fresher in history. sooner or later you will have to read india’s struggle for independence as well because it delves into important issues and stages of freedom struggle.alternatively you can dispense with the first book and instead read icse class 10 history vipul shah- buy and read it . you will benefit from it. I have just passed 12th science so plzz giv me ur suggestion for clearing IAS….what can I do?? Nd how I’ll clear in one attempt plzzz help me…..
@navlika : dear friend u must have degree in any discipline to attend upsc exams.. It is gud that you are thinking for IAS after 12th only, start clearing ur all basics and boost your knowledge in all subjects, take syllabus from this site and read books accordingly. You will have 3 years to study during your graduation and after that you can attempt for IAS. I am studying BE-mechanial engg.. My aim is IAS…. But no idea for how to prepare and clear the exam…. Pls tell me..i need more information about the IAS exam.. Help me pls. During the early stages of preparation, select only one or two basic books for each subject. For History, India’s Struggle For Independence by Bipan Chandra is a better choice. But later on, you should expand your book base for each subject. The strategy for selecting the books is outlined in the link : https://www.clearias.com/smart-work-ias-preparation/. All the best! But, Please tell me, is the above books list as per the new 2013 Mains pattern ????????? Where, new GS-1,2,3,4 papers are added ??????? Yes, the above list of IAS books are as per the latest pattern of civil services after the GS Papers 1,2,3,4 are added by UPSC in 2013. I have just passed 12th so please give me strategies for clearing iAS How I’ll clear OAS in one attempt. My question is — Does the Books of (IAS mains) and (IAS Pre) same OR different to each other. Thnk u for ur all infornation.iam E&C engineer. iam confused in choosing option subject between public administration and electrial engineering. I want ur suggesion.pls help me. Dear Saraswathi, As we have stated in the post – https://www.clearias.com/select-ias-mains-optional-latest-upsc-syllabus/ – selection of the optional subject is a personal choice where the priority should be given to candidate’s interest, availability of materials (online and offline) and scope of guidance and peer study (if necessary). We do acknowledge the fact the Public Administration is a more popular optional than Electrical Engineering. But there are positives and negatives for both these subjects and you have to weigh the merits and demerits of the same, based on your background. Select Electrical Engineering only if you have genuine interest in it, and only if you are confident enough that you will get proper materials and guidance for the same. Guidance and materials for Pub Ad, are relatively easy to find. But that does not mean that you should take Pub Ad. If possible, talk personally to candidates who wrote IAS mains taking these subjects as the optionals. Go through the syllabus and past question papers of the same. We at ClearIAS.com is of the opinion that all optional subjects have equal chances of success as proved by many candidates hailing from diverse backgrounds. Take a decision after thorough analysis. All the best! Thanks for your service through this website. I have been in to various fields as of now. like completed BE – ECE and then MBA – Marketing. Worked in Sales for around 3 yrs now. But UPSC exam is new to me. I really want to clear this. Any suggestion ??? What are the options (Political science/ pub ad) available according to the latest Syllabus?? Books You have mentioned above for free really match the Books you have mentioned at the top??? First of all we appreciate your interest in Civil Services. Almost all of the queries you asked is clearly answered in the previous posts. We suggest you to go through them. All the best! Clearias.com:am 3rd year B.tech student.am going to start IAS traing .now which book I should refer and guide me plzzzzz…..
plz sagestion english grammer book sir…..
sir i went through the whole post. it is really a complete roadmap to follow. but how to prepare for current affairs apart from hindu?IE? role of magazines? is chronicle sufficient? Sir, i just have been started preparing upsc…. But i m confused from what to start…? Start from UPSC syllabus and previous year question papers of UPSC Prelims and Mains. It’s available in this website. Then go into detail some the easy topics. You may refer NCERT texts or standard text books for IAS for that. After gaining confidence, you may shift to higher topics. Focus on news related to Foreign Policy of India, Social Issues, Parliament, Judiciary, Centrally Sponsored Schemes, Governance, Recent Bills, Economy related news, Environment, Science and Technology etc. Don’t miss editorials. Leave out news related to local politics, Bollywood, cricket etc. hey sir !! mai i request u if someone sorry mostly not everybody has that kind of whole budjet to buy such costly books or google dont provide those books to read but those r the important to get for the dream !! are they r not available for download ???? the information u given was fantastic i appreciate nad pls make those ebooks for everybody to download !! Thank you so much for giving the crucial information related upsc. Its very good for candidate. (Uday patil . Belgaum). Did you find books for upsc in tamil? Hi,right now I am in class 12th. What are your suggestions for me right now ? Hello sir, I have sent a mail to the email id provided by you. please kindly check. Sir mai Hindi medium se hu. Mera dream ek IAS bannaa hai pr koi mujhe guidelines nhi de rha hai please aap mujhe guide kre. sir i want to start prepration for ias and for that i want to buy books. so please tell me how i stsrt my prep from base and also names of the books…..???? ggd evening sir < i want to wish become a IAS officer plz sir suggest me which book useful for IAS exam pri and main plz sir reply me i m waiting……. which subject will be better to choose as an optional? Please read the post on optional subject selection in http://www.clearias.com. This is entirely a personal choice and the priority should be for your interest/taste for the subject. All the best! sir plz reply , the link u hv given for indian economy is of 4th edition but there is also a 5th edition buk in the market of the same writer…… which buk should i rely upon????? Dear Anas, always go for the latest edition. We will be updating the link soon. Thanks. thanx a lot for ur response sir……. sir one more question dat i want to ask is that are the new NCERT buks of economics are according to UPSC syllabus n from which class buks should i start and must i start to study regularly??????? hi, i am working as asisstant manager IDBI bank. but i want tobecome civil servant…bank starts at 9.30 to 8pm.. how to manage study hours.. and self preparetion..
Did you find books in tamil? i requested sir, i want conform that how much age for IAS. and medium Hindi or English.basickly I am from uttar predesh…pls sir …..thankyou. sir.plz tell me about best book to cross ias exam. Sir,i am in the first stage of preparation. please suggest me for starting preparation.thanks sir. i want to know whether there will be parents back ground verification process in civil service selection process? my parents did second marriage initially i am an s.c but my father is b.c so in which caste should i consider myself either S.C or B.C???? although i have S.c caste certificate give by govt.office….. In certain cases there are background verification, but not a matter of worry in your case. All the best! which is the best english grammar book for UPSC exams? Hi clearias.com…. sir now I completed my engineering…. I wanna to become civil servant… But I hav some economic problem… shall I go to job now or start to prepare for upsc????? What is the best time slot..?? 10 hours of study or 8 hours of study.. n how to give time for each sub.. suggestions needed..? Please read UPSC Exam Guidance Post as a starting point. hello,Sir.I am a medical student and I am looking for what subjects I should consider in IAS .Please suggest. You can select medical science as one of your optionals. Please read UPSC Exam Guidance Post as a starting point. Presently I am doing b.tech from computer science. so, I’m confused which subject I should choose for optional in mains. Would you please tell me a page of yours for necessary information about UPSC exams??? I want to clear IAS..
HEY SIR I AM 22 YR OLD . I AM GOVT EMPLOYEE. I WANT TO BECOME AN CIVIL SERVANT . CSP 2014 , WITHOUT PREPARATION MY SCORE IS 50+ MARKS IN PAPER 1 AND 130 SCORE IN PAPER 2 . NOW TO CLEAR IAS 2015 FROM WHERE I SHOULD START ? AND I HAVE SURFACE KNOWLEDGE OF ALL SUBJECTS. PLZ SUGGEST ME? I have to become IAS officer. So which should I prepare books in Marathi language. Give me books list of Marathi medium. sir, I have completed 12th, So, I want to knw that how? I starts my initial studies 4 ias. plz tell me & 4 guiding books. sir, I want to knw that how I will prepare ias studies. I am apperaring with managament as my optional subject. Can anyone refer me two good books which is covering almost the entire course or any books suggested for management ? I m perceiving my TE of computer and i want to appear for IAS exam sooner after my BE completion. Can you please provide me the guidance when should I start my studies and which books should I refer. hello, i want become ips but i am very confuse ,because i dont no how to prepare ips study …can you pleas provide mi guidance ….pleas help me…..i have no idea about it. please take a study materials in this wabsite and choose your optional first of all can you watch a syllabus…. and then , can you please given to an I.P.S. Training period syllabus sir please help me sir . One of the best book for preparation is “CURRENT AFFAIRS & ISSUES, A 360 DEGREE ANALYSIS”, UNIQUE PUBLISHERS” recently launched by SNM IAS Academy providing you all the required study materials according to the requirements of the preparing candidates for IAS….!! i am also in same dilemma. please give ur mail id or mobile num to my no:9494171806.
i need some information pls help in this regard. I am studying btech 3rd year .I start the preparation for upsc civilservices….my optional subject is mathematics so,pls provide standard books for mathematics optional subject…. Can u provide a link from where i could download the pdf files..if u can.. I have purchased vajiram study material for both prel. And mains what are the books must I purchase more? the books mentioned by “clear IAS” are we supposed to read and learn complete book?? Sir i am doing btech,then after i want to ias. Plese suggest me how to start. Hi! I’m a student of std 9th… and I want to become an IAS officer.. What type of preparations Do I need from now..?? And plus what type of books do u suggest me to read and get best results in UPSC.. Because I want to prepare myself from now only.. so sir/madam please help me..
sir i am doing b.sc(agriculture). i want to prepare for UPSC. please suggest me.which bokks better for me to preparation like agriculture…. i m waing for ur reply….. I completed my graduation from delhi university in 2010, but i have never attempted any competitive exams.. I an not so confident about it but can I appear for UPSC prelims 2015, if I start preparing from now..?? Yes. There is enough time, prepare well. Could you please let me know the reference book for Malayalam mains for part A and Part B ? mai apni education ko 12 k baad se chod chuka hun…waise b- tech ho hyi…degree h dimag m kuch nai….10-12th ka syllabas b mostly bhool chuka hun….kya ab m ias 2016 ka exam fight kr sakta hunn…and pls also tell me how should i forward my next step in the line of study .and how to clear the ias exam pri nd main…. wheather the books prefered by you is enough or more books are required? I am in confusion,so plz help me. Sry i am not going to the coaching classes for preparation of ias exam. so plz guide me. Dear clearias.com can you tell me that if one have a varicocele surgery than can he apply for civil service? Sir i am in class 12 now will be applying for bcom and then i have a very keen desire to become an ias officer what should be my first step for studyng for the upsc paper?? HOW TO START MY PREPARATION ? DO I HAVE TO GET ANY OTHER BOOKS OR THESE 2 BOOK ARE OK ? Civils is all about analysis , try to read hindu newspaper everyday (mother of GS), revise NCERT books, I can’t say that those books will suffice, but for now they are ok. get addicted to hindu. Thanks a lot for yr guidance here . Im doing english hons. from du but Im not too interested in it & I hv a great interest in psychology so I want to know that what will be better for me to choose optional ? should I readmit for psychology as it is my first year ? civil services exam(IAS) and In what syllabus of the civil services this issue comes. could i read such kind of books or we read only famous author books . i am studying BSC(ag) 3rd year in Acharya N.G.Ranga Agricultural Univarsity. i want to write agriculture as a optional in UPSC. Up to 10th class i was a telugu mediam student. Sir, i want to write agriculture papers in english and remaining papers (GS and Eassy) in telugu, is it possible or not sir. Please give information about books on Constitution of India, which have a-z information about Constitution. I want the list of the exact syllabus and the correct books to cover the entire syllabus of IAS so that it’s easy to study that books only.Kindly help me Sir. i want to know that what is the %age chances of clearing IAS for those having electrical eng as optional.is it dependent on no of candidates taking this as optional…is there any difference in checking of elect. eng . paper coz if my numerical is complete n answer is right then full marks will be given and from where the checker can cut the marks as in another subjects u have to write mostly stories.paras. and chances of deducting marks are more.plz suggest some best books for elect .eng optional. PLZ SIR tell me, i need your help. Hi all, we have compiled the answers for frequently asked questions in the link https://www.clearias.com/frequently-asked-questions-faqs-on-upsc-civil-services-exam/. Please check. Sir maine bihar Board se hindi medium men 12th exam pass kiya hun..
To mere liye ye kathin hoga ki mai eng. Medium men ias ka taiyari karun..mujhe hindi se hi karni hogi..
To kya sir maire liye kya better hoga …. How can you give us so much without charging a rupee from us? We might have wasted some money for this guidance only. Dear Sir ,I am pursuing B.Tech 3rd year. I want to secure civil service examinations. But how to start with. and how to get well planned. Almost every query of a fresher is answered in the article: Clear IAS FAQ. Please go through the same in detail. All the best! I am very confuse….. Some aspirants advice read only old ncert books atleast of year 2000 or 1995 n some advice we can read new ncert books.. Pls tell me what should i do ? sir i want know where i can buy urdu books for ias optional papers plz help me sir thank you. Hello, how much year approximately i take to clear IAS exam? I know no one can have perfect answer this question but i am an average student. I m working with PSU. Prestly i hav only 5- 6 hours daily to read book. I opted agriculture as main sub. Now i m at very starting point to study for pre exam too. Front line, yojna etc from apr-15 to June-15. What should my strategy to crack this exam. Sir i am B.tech 2nd year student but i want prepare ias art subject please give me suggestion . Hi sir. your recommendations are really good and helpful. what my query is, is that I’m in 12th standard, that is i have just started my 12th. Then what are your recommendations for me? Start from NCERT texts. Read newspapers daily and follow the study materials and guidance updated in this website. plzz tell how to make notes from various books, write an article about it. Follow Clear IAS free online study materials, NCERT books in pdf form, newspapers in online format, government reports, Yojana, Kuruskhsetra etc available online. Learn to write good essays and learn hard your optional subject. You can overcome your financial difficulties to Clear IAS. All the best! sir, I have entered mbbs 1st year course this year and i wish to become an IAS officer…it was my only dream….i request you to please suggest me how to and when to start my preparations? Wonderful Job for all the Aspirants and Web site Visitors.. I am planning to appear for UPSC exam for next to next year with all the best efforts required. As the UPSC pattern has changes in 2015 , please guide me for the best books and topics in new syllabus. I acquired all the details available at your web site about books , upsc web site for syllabus and how to proceed as Beginner . I am choosing Physics and Hindi as Optional, physics on interest basis and Hindi as I am not left with any other language option. Need guidance on Hindi Subject. Is it mandatory to follow NCERT books? Or just main books will suffice. Kindly reply soon. NCERT books are recommended to read along with other books. Sir , I just completed my Graduation in Mech Engineering . I further want to be a civil aspirant can u give me suggestions and overview of the process of the selection and training . I think I need the information from the basic standards . I want to attempt without coaching . really helpful for the new aspirants…. Why do we require IGNOU Books? Whether IGNOU books are needed in preliminary or in Mains? If it is needed in MAINS than what are those areas where we needed IGNOU books? Sir I want to appear in IAS exam 2016 plz tell me which all books should I read? I want to prepare from my home,so plz help me. Maine civil engineering graduation tak ka study pune university se kiya hai…… Sir mera lakshya ahha insaan banna hai or waisehi achha IAS officer banna hai.. Sir mai soch raha tha ki konsi train pakadu kis direction me use ghumanu taki mai asaanise ias ban janyu lekin apane to directly hame aeroplane mai bithadiya ab hamara rasta bhi asaan kar diya. Sir im really gonna thanks to say each And every member of who built such anroid apps…. Its really amazing……..
plz recommend books for preparation of IAS. which cover whole syllabus . In that case UPSC manuals like TMH or Pearson can be a choice, though bulky and heavy. Hi sir I want to start my upsc studies from now and want to be a future ias officer .Will you please tell to me from which thing i should start. also will you please tell me the overall books which i should read and start from which books first of all , Are ncert books of physics , chem , bio usefull for upsc studies , and we have to biheart these books . Hi sir I dng my final IT.I want to become a civil servant..so tell me Hw to start my preparation from the basic for my exam. @Mohan: To begin with, you may get some books for UPSC exams, read our online study materials and take ClearIAS online mock tests for Prelims. Start from our post on UPSC exam guidance. Respected Sir/Mam, I have been admitted in a renowned university for B-TECH engineering but in the course of these four years, I want to prepare for IAS exam without coaching. So, please guide me and provide me the best techniques so that I shall be capable of managing my B-TECH as well as my preparation regarding IAS civil services exam. I am 27 year old graduate, now working as an engineer in saudi arabia. I would also like to start preparing IAS like many. But i am not started preparation from childhood and also not updated with current affairs or anything. But i have the will to clear the exam. Is it possible to start now from zero and clear ias exam. If so please help me with your useful guidance to become an ias officer. please see it as a serious request and let me know if you can help me. 27 is not a high age as far as UPSC exams are concerned. The will, as you said, is most important. Please refer articles published in this website. Also download and install Clear IAS app. That should give you a basic idea how to start. Which books should be referred for management as mains subject?? It may not be practical to read every line of each book. Selection of important topics from books becomes easy by experience. UPSC syllabus and Previous year UPSC questions should be the best source for guidance in the process. its ayesha. Am an MBA, now preparing for ias 2016.. can you plz suggest the management books I should read.. I cudnt find it in clear ias book list… so kindly guide me sire. . This is Ganesh prasad.i have completed my Btech (MECH) this year.i am planning to prepare for IAS for next year.I dont have any perfect guidence sir. help me with your useful guidance how to start. hello sir …i have just joined b.sc. in horticulture…how can i prepare for IAS at the early stage…?with what books…? @Dayanand: Thanks for providing the right guidance to a fellow candidate. Help among aspirants is much appreciated as we may not always get time to reply individually to all comments/those questions already answered. Thanks. i request clear IAS or any of the aspirants to please answery above mentioned ques…. @Akansha prasad: To begin with, you may get some books for UPSC exams, read our online study materials and take ClearIAS online mock tests for Prelims. Start from our post on UPSC exam guidance. Very Nice. You have a complete list of the books that are needed to clear civil services exam. Great Help. @Aarav Agrawal: Thanks. You can find many of the tips and strategies under our Prelims/Mains/Interview guidance sections. Hi guys. ..this is the best applications for everyone who want to crack civil services exam.in this application everything is the helpful. ..believe me this is the best applications. ..i give five star. ..
@Nitesh: Thanks for those nice words. Please go through our ‘FAQ’ section and ‘guidance’ posts. Soo good & helpfull for every asparants of IAS……can you suggest me any other authors books plz? Sir i request you . me hindi madhayam se ias ki tayari kr raha hun . Sir jo NCERT ki book jo link pr de rakhi h to sir wo dawnload nahi ho rahi sir help me. What is the IAS pattern for 2016?? Sir, I am Bengali medium student. Please give me some Bengali medium books name for UPSC ! Please sir suggest me Hindi medium books for this exam. sir, i am Which books should be referred for management as prelims examination ?? How to start preparations for Civil services? Why you should become a civil servant? How to select optional subject? How to read newspapers? When to join coaching? What are the books required to be followed? Elaborate strategy for GS. What to do when you are already doing a job? Mistakes that are usually done at the time of interview. Subject-wise analysis of CSAT and mains. Are there hints thrown by UPSC in the notification? Is coaching really required for becoming IAS? How far are the websites and other electronic media useful in the studies? All these questions and many more are explained in a very lucid manner in an amazing book by Divey Sethi. My daughter want to know the best publication books for upsc prelims exam preparation at home. Right now she is in part-II Graduation (4th Semester ). Her subject is Geography & Economics. we are not able to provide coaching for the same. Is is possible to get online notes for prelims & main subject Geography. Please help me. @ Bimal Kr. Singh: Apart from the NCERT books for the same, you may buy the text books given in this page for Geography and Economics. Sir, this is Satish Kumar Boini, working as Sr. Clerk in Revenue Department, Odisha. I am 24 now. I want to be a civil servant. Sir, I am to state that I have little time to prepare for the prestigious exam and it is very difficult to read between 9.00 a.m. to 7.00 p.m. that I have to perform my office duties. And I am unable to take leave or to resign my current job due to my poor financial condition. Sir, if I will go through the books there will be very difficult to manage my time schedule. So, I want to emphasize only the free online notes from CLEARIAS. Is this a right decision? Sir, please suggest me how to study in this busy schedue and what to refer. Kindly, suggest me my well wishers and I will be very thankful to them. @Satish: Appreciate your hardwork. We recommend a mix of online study materials from ClearIAS along with standard text books and newspapers. Mock tests are also a must. @Harshitha: Please search for our post on optional subject selection. For you, Zoology may be a good choice. You can take traditional subjects like Sociology as well. @Anil: It depends on the potential of each student, but there are people who crack this exam without attending classroom coaching. To begin, you may get some books for UPSC exams, read our online study materials and take ClearIAS online mock tests for Prelims. Start from our post on UPSC exam guidance. 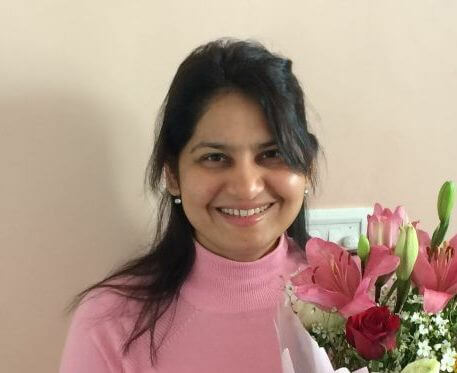 @Gitanjali: Happy to know that you benefited from this post on IAS books. Stay tuned for more updates. @Nandhini: Great vision. All the best! god give me great mind , this world not enter good habits in this mid. a man is strongest non achievable in the word can do ever thing any time. I am manjunath, i have applied UPSC 2016 in KANNADA, i need KANNADA study materials, could you please suggest me. sir i am 26 year old n i have done BE in Information Technolgy…please guide me how to prepare for upsc exam from beginning…. @Tejan: You just have to click on the links provided in http://www.clearias.com/ias-books/. That will take you to Amazon/Flipkart website. Just pay online or go for cash on delivery option. Most of the books have discounts. Send me a detailed mail in [email protected] ! i l help you out dude! I have just 2 years to clear my upsc exam.So to prepare in short and gain knowledge please let me know the books tor preparation. I know its high time but my family situation dint let me do it.i need ur guidance. Sir my optional subject is political science and international relations …which book ‘ll refer to study..
Sir presently I am doing engineering 2nd year….I want to start preparation for CSE ….I want to know how? sir, i am interested in upsc and i am very inspired for upsc but do not have any idea.please help me i want to know about this for long time. I am working as a Software Engineer. I need the guidance for IAS exam preparation . I have to work 9-10 hours daily . I do not want to leave my job and also i want to prepare for this exam. I am totally confused. Please some one guide me. And also help me with how to prepare? Here are some help tools for tackling Marathi in the UPSC exams, ranging from the syllabus to reading list and other tips. These resources on Marathi also includes IAS Question Papers of Marathi. We wish you to adopt the best strategy and become successful. We try our best to provide as many resources for your prepration as possible, but if you can add to this list please feel free to send us links or matter. Please guide regarding Mains optional subjects. Hi , please tell about political science books, also for state PSC exams defence is one of the optionals, let us know if books for this subject also. Sir my name is sameer. I’m studying graduate. My aim is to become IAS I I have no idea no guidence. please suggest me the books and how to prepare. I have completed my graduation in civil engineering pls suggestions pls guide me. I have competed my 12th standard in science and i got govt seat in medical college.I want to clear civil service examinationin first attempt in year 2021 and start my career as I.A.S officer.guide in a way to reach my goal. Sir , I am studying graduation.please tell me how to prepare civils? Sir I’m vinusha I want appear in IAS exam 2017… but now I’m engineering final year and is completing at June 2017… so will attend to IAS exam 2017??? Pls suggest me sir I dnt know anything about ias and books… so pls give me suggestion sir.. can I eligible to prepare ias exam?? And how to prepare?? Which books u suggest to me…. pls reply sir I dnt know anything about ias pls sir….and also suggest to me how to improve communication and English grammar… pls give suggestion sir…. I’m the student of BA. my subjects are pol science , geography and sociology. Then which subject I should choose as my optional subject ? And how can I prepare for essay? Please sir,suggest me. I have a small doubt in this post. The author have mentioned more than one book(s) of same subject. Is it necessary to read all such books or we can read a single book. Hi Abhinav, To master each subject as per the requirements of UPSC Prelims and Mains, reading just one book for a subject may not be enough always. For example, for History – it’s always better to read the authoritative books for Ancient India, Medieval India and Modern India – each separate. This is the ideal case – if you have enough time. But for subjects like Polity, you can stick to just one book – either Polity by Laxmikanth or Polity by D.D. Basu. But, remember, UPSC may not stick with just one book. They will ask from very diverse topics including the current affairs related to each subject. You can also refer toppers interview to know from how diverse books/materials they studied each subject. How can I choose subject for IAS all phases exam. Now I m student of b.sc.(med.) final year .plz give me guidelines for preparing Ias exms. My dream is ias officer bt I don’t know how to prepare ias exms. .plz give me a guidelines. Plzz give me guidelines for preparing ias exm.my dreams is ias officer bt I don’t know how to prepare exm. Hello sir, my name is ganesh iam so much interested in IAS exam. Now iam 3rd year engineering student. Idont no what to do and how to prepare for ias. And which type of books i have to reffer. Please help me and please give me the complete discription of IAS. How to become succed in it ???? Sir can a BBM graduate is eligible for appearing to civil services pls reply..
Can you please confirm if the syllabus mentioned above is still valid for the UPSC exam that would be held in 2017. Also, can you please suggest books and study material to directly cover the subjects in detail. Thanks for your help. any whatsapp group for helping me to clear upsc exam….. I m mofizul khan and now i m almost completed m.com(Accy).My big hope to become a IAS officer so humble sir i request a lot that how i can prepare myself to achieve the biggest hope in my life.Now i m too small in comprehension above this.I requisite enough of wisdom from you.With me now have not also any book for face of ias exam.I crucially spread request infront of u that help me to gain my dream. Hello Ser. I am sunil me IAS bana shata hu please ser halp me .oll matiriyal .or book IAS ke liye. I am studying in 10 th std. My aim is to become an IAS officer and serve the nation. I would like to start my preparations right from now. Can u plzz guide me and suggest some books for my preparation. Please go through the below links, to get right guidance. For giving us information about preparation of IAS. Hi, I haven’t cleared class 12th in first attempt. Will it make an negative impact over my selection in case I reach till interview? my Background is only Computer sci. Field. not any special subject for ias exam preparation. .1- Plz how to start basic preparation? 2- which choose for optional sub. For mains.? So which should I be prepare books in Marathi medium. Pls give me book list of IAS in Marathi medium. Hi!!! How much chances are to crack this exam without coaching. I belong to a very poor family I wouldn’t manage to attend coaching classes, how much chances i possess to crack this prestigious examination….. I am reading in b.a 2nd year, when I would start preparing mysel, if I possess some chances without coaching. Believe me sir my conditions are not such to join coaching but I am more dedicated and motivated to become a cival servant by cracking this exam… Pls suggest me sir………!!!! Sr , presently I am doing bsc (hons) nursing from Aiims Bhopal .But I want to appear in IAS exam after graduation .this is 4 year course But Sr I am not able to manage time properly .plzz Sr give me guidance how can I manage the time table. Sr , presently I am doing bsc physics from a college .But I want to appear in IAS exam after graduation .this is 5 year course But Sr I am not able to manage time properly .plzz Sr give me guidance how can I manage the time table. im 3rd year be student, and what is the area i have to concentrate now, to crak IAS in 1 year. please tell me books for prelims in Hindi. I am in 12th i dont know which kind of books to be preferred. Now, I’m doing my bscmath and I’m a 1st year student. so how should I start the preparations ? what kind of books I should start studying . Sir I’m cleared M. Sc, Biotechnology recently. I have become IAS officer.but ,now I’m married girl. so, plzzz give a guidance for balance my family life and my IAS exam in one or two attempts.what kind of books I should starting my study. Sir , I have completed my 12 clss n ,Iwan to know that which books are required for clearing IAS exam n in how many yrs . Plz reply. Sir, I am studying intermediate2nd year in IIIT college. what are I have to for prelims preparation? My self manjugowda from Karnataka I have completed M. Pharmacy on 2014-15 batch and currently working in Accenture. But I am fed up with this corporate job Hence I am trying for government jobs mainly I am interested in IAS. Hello sir.. I completed my BE and I aim studing UPSC. I’ve got list of books to study but i dont know how to prepare would u please help me …,!!!!!!! I have some problems in speaking.. Sometimes I couldn’t speak throughlly. So I am becoming fear about in interview time. Plz sir advice me anything.. And another problem is that I am weak in English language. Keep such advice for me..
Can you please link to us? Hello ….i have a one que. Prelim exam paper hindi me hota hey ya state language ma bhi hota hey ???? I want help regarding English lit. optional. I am unable to find any topic , so that I can prepare about the subject. I am a beginner,I need an immense help from you sir. Please help and also where can I get the books for the particular subject. hii sir tumhi sangitlya pramane mi ias prelim anni mains che pustak ghetle ahet te tumhi dilele purese ahet ka ? Sir, I am a paramedical student which is a 3 year course. I am hugely interested in CSE. I want to know that Is the degree in paramedics eligible for UPSC exam? I am now studying 2nd yr bsc-biotechnology….. My dream to became an IAS. But. Now I don’t have any idea how to start to prepare for UPSC examination pls tell me how to start preparing and what I want to study first…. I have a doubt , whether Going to Coaching classes better for Taking part in the CSE exam ?? You may refer the post – IAS coaching. We are closing this comment thread, as we have released a new ebook to clarify most of your queries. Download our ebook “UPSC Civil Services Exam – The Beginner’s Guide to Success” from the “Start” section. Thank you all!